Down to earth and elegant traditional waistcoat. The traditional waistcoat NEMO in blue is not only s traditional suit but can also be worn as a fine item with jeans etc.. 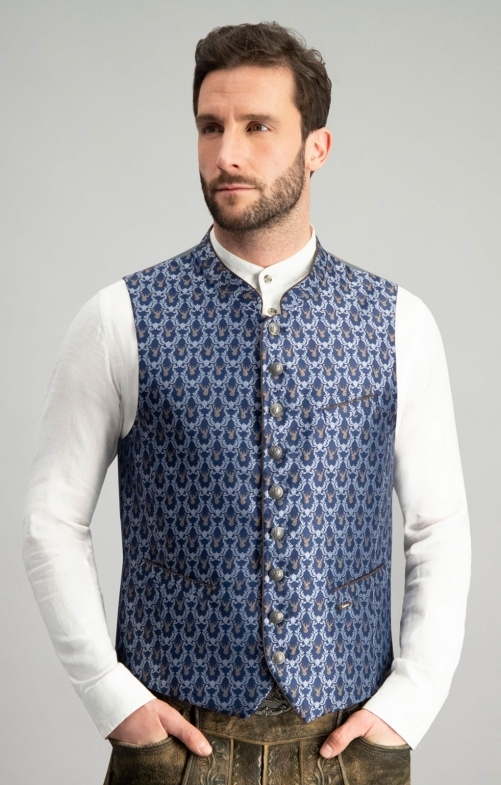 This waistcoat with the high-quality jacquard pattern on the front testifies to taste and style. The back of the men's waistcoat is traditionally kept smooth. With an adjustable clasp, the width can be regulated. Leather piping, round buttons and practical pockets emphasise the down-to-earth character.